Promoting tennis in Calvert County for players of all ages and skill levels! 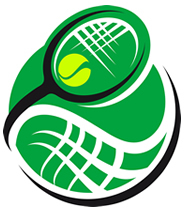 You can help us promote tennis throughout Calvert County. We appreciate your generosity! The Calvert Tennis Ladder is a fun, free way to play tennis in Calvert County with people of your own skill level. There are ladders for men’s and women’s singles, doubles, and mixed doubles. Come out and play! Social Doubles is a fun way to get out and play tennis with other local players of all skill levels. For info on the Dunkirk group, contact Linda Rupard (linda_rupard@comcast.net). Copyright © 2019 The Calvert County Tennis Association. All Rights Reserved.